Japan's Supreme Court on Tuesday ruled in favor of a government plan to relocate the US Marine Corps Air Station Futenma on the island of Okinawa. Russian expert Viktor Pavlyatenko told Radio Sputnik that bases like this one perform a major strategic purpose for the US military. Japan's Supreme Court dealt significant a blow to islanders' efforts to get rid of the base altogether led by Okinawa’s governor, after ruling in favor of the central government in its bid to relocate the US airbase to a less populated part of the island called Henoko, Kyodo news agency reported on December 20. Construction works were put on hold in summer, after Okinawa’s governor refused to fulfill Tokyo's recommendations to accept the relocation of the US base and launched a retaliatory lawsuit against the Tokyo administration, with many Okinawa residents wishing to see the base gone altogether rather than simply be relocated. But a high court ruled his decision illegal and on Tuesday the Supreme Court upheld that ruling. Okinawa Prefecture constitutes less than one percent of Japan's overall territory but hosts some 74 percent of the country's total US military presence, many of which are remnants of World War II. The Futenma airbase houses 25,800 US servicemen along with 19,000 family members and civilians, according to the Okinawa prefecture. Senior researcher at the Russian Academy of Sciences Center for Japanese Studies, Victor Pavlyatenko said that it is crucial for the US military to preserve this air base. “A very big game stands behind this court decision to relocate Futenma base to Henoko,” Pavlyatenko told Sputnik. 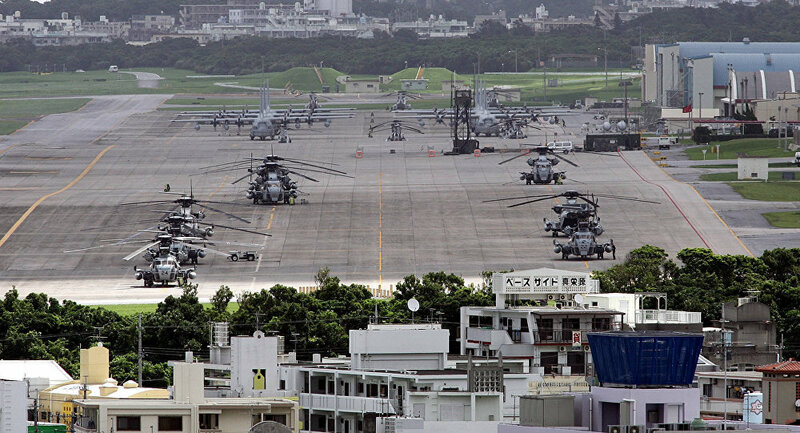 “It is crucially important for Washington to keep their base in Okinawa, because if it is relocated not as scheduled under Pentagon’s plan, it would mean that US bases can’t be seen as long-term in Japan,” the expert stressed. “Bases in Japan in general are a major strategic point for American military, as these bases will determine the outcome of the first stage of any armed confrontation in the region, and today is not the time when the Pentagon can afford to reduce their military potential in Asia,” Pavlyatenko said. He recalled that lately protests against US bases in Okinawa have been fairly frequent. For example, protests broke out last week after a US military tilt-rotor MV-22 Osprey aircraft came down in the sea off Okinawa. Often the behavior of military personnel is the cause. In 1995 three American military gang-raped a 12-year-old Japanese schoolgirl, and this summer a 20-year-old woman was raped and murdered by an American sailor. “These are examples of the ‘beastliness’ that has always been there and will always remain there,” Pavlyatenko said. “In 2009 when the democrats led by Yukio Hatoyama came to power, his first step was a huge mistake. He lasted in the prime minister’s chair for only nine months after he raised the question about the beginning of the gradual withdrawal of US bases from Japan,” the expert concluded. 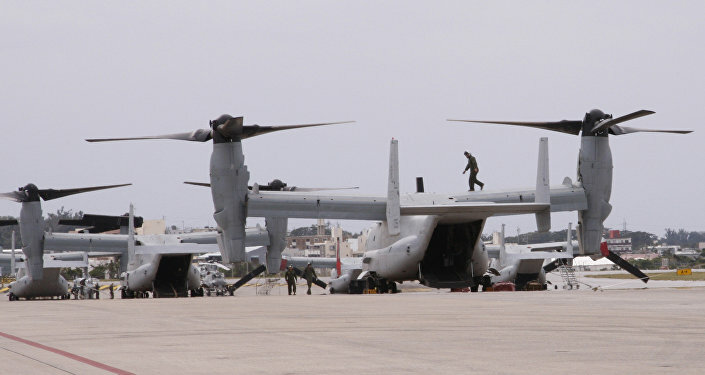 The extensive US military presence in Okinawa has always been at the heart of tensions in the area, with residents demanding that US bases be removed from the island.